The sport of running has been developing for millions of years since is was first used as a strategy for hunting used by the Australopithecus. Competitive running was later used for entertainment as it became a part of religious festivals such as the Tailteann Games in Ireland and then the Olympic Games which date back to 776 BCE in Greece. Nowadays running is often used as stress relief, for exercise and for some, an enjoyable hobby. It’s no surprise that it is the ‘world’s most accessible sport’ for the fact that you can do it pretty much anywhere on land you please. Running is a sport practiced around the world by people of all ages (and animals too). What shoe is right for my foot type? What are the different types of running shoes? What’s the difference between maximalist and minimalist shoes? Are there different shoes for different types of running? 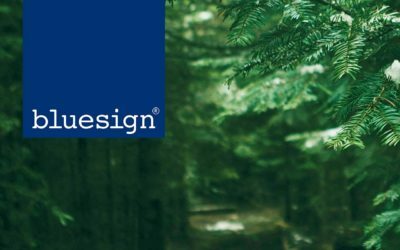 Whether it be to unwind after a hectic day in the office or training for a half marathon, our motivations to go out and run vary throughout society and the world. As our motivations vary, so do our running mechanics and the tools we need to run comfortably. If you take a look at an old, well-worn pair of sneakers you may notice the wear patterns; the outside heel is worn down or the inside edge of the shoe is worn. These wear patterns are essential for determining the right pair of shoes for your running style. There are three different types of wear patterns or running gait to look out for; Neutral Pronation, Overpronation and Supination (Under-Pronation). Each one of these wear patterns will reflect which type of shoe will perform best for your running style and your pronation. Like anything, using the proper gear will make a world of difference! If you suffer from shin splints like myself, finding the right pair of shoes to run in could be your life-changer. Pronation is the natural inward roll of the foot during any sort of normal activity. It is necessary in order for the human foot to function properly. Too much or too little pronation can lead to injuries if the proper precautions and equipment are not considered before activities such as running. Neutral Pronation is when the roll of the foot during normal motion is natural and appears normal. You will see that the wear is focused on the ball of the foot as well as a small portion at the outside of the heel. Commonly seen in biomechanically efficient runners, neutral pronation will absorb the impact which relieves pressure on the knees and joints. Generally, a neutral pronater will have a normal foot arch with centralized balance. 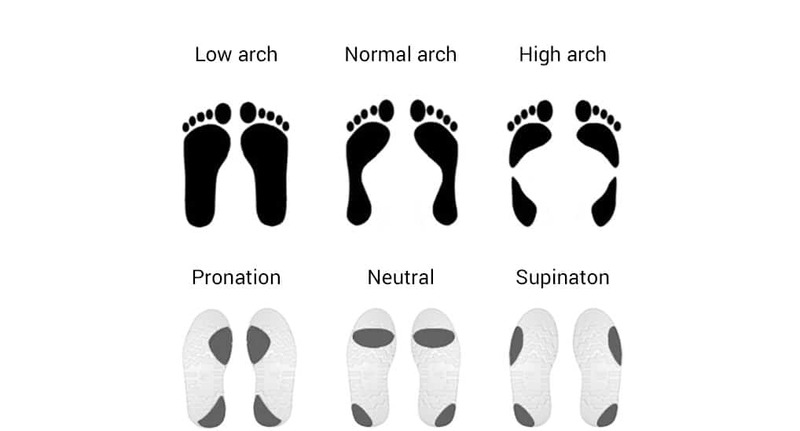 Supination (under-pronation) is the outward rolling of the foot resulting in wear patterns on the outer edge of the shoe. This excessive outward rolling places extra strain on the muscles and tendons that stabilize the ankle which can lead to ankle sprains and rolling of the ankle if the proper footwear is not being used. A supinater will need a shoe with adequate cushioning and flexibility to compensate and help support the ankle. Overpronation, which is also commonly referred to as someone with flat feet, is an exaggerated form of the foot’s natural inward roll. The wear pattern for someone affected by overpronation appears along the inside edge of the shoe. The majority of runners are affected by overpronation and often have a higher risk of knee pain and injury over time. Other injuries are common over time but can be treated with a shoe that has extra medial support. It is also advantageous to have an orthotic device fitted. Overpronators should pick either a stability shoe or a motion control shoe. Comfortable running shoes to a runner are like a hammer with a good swing to a carpenter. The quality of your tools will impact your entire performance so ensure you are prepared. If your feet aren’t happy, you aren’t happy and your run is going to be very short. Buy the right shoes, and keep your feet happy! The three main types of shoes are Neutral shoes, Stability shoes and Motion Control shoes. Some runners will fall between two of these types so can experiment and see if there is one particular type that works better for them. Neutral shoes are best suited for runners with a normal to higher arch and efficient foot biomechanics. These shoes are ideal for runners with neutral pronation or supination. A neutral shoe will provide some shock absorption as well as some arch-side, medial support. They are designed for runners with a generally light body frame. Neutral shoes are the most common of the three so there will be a large variety to choose from. They are often found to be lighter than other running shoes and are occasionally used for runners who are competing. Stability shoes are best suited for runners with ‘flat feet’ or a low arch found mostly in overpronators. 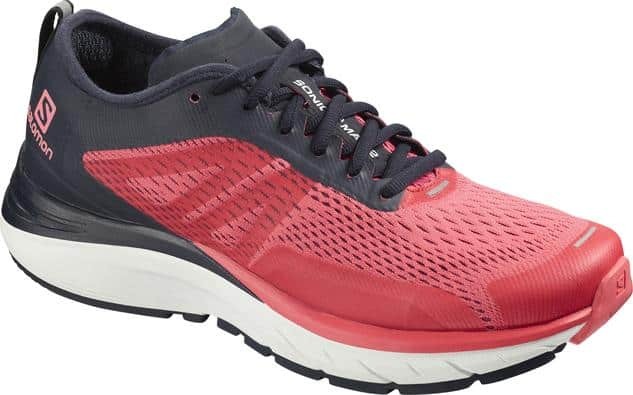 Stability shoes will commonly be designed with some form of structure which is meant to prevent over-pronation by supporting the foot, the ankle and the arch while the runner is moving. These shoes are generally very supportive and provide premium cushioning which softens the impact when the runner’s foot hits the ground. Motion Control shoes offer features that are targeted towards runners with moderate to severe overpronation (when the ankle rolls inward while moving). These features include stiffer heels and are often more expensive because of the materials that are used to manufacture them. Motion control shoes are made to benefit heavier runners who may be looking for a shoe with more cushioning, pronation control and ankle stabilization. French adventure racers started Hoka One One in 2011. These two ex-Salomon athletes decided to come out with shoes that are the opposite of the minimalist trend. What they came up with are very well cushioned shoes with an oversized design and thick midsoles for a softer running experience. Although maximalist shoes have been criticized for the oversized and almost comical look, the maximally-cushioned-shoes trend has been increasing its popularity year after year. Last year, more than twelve brands offered maximalist shoes that combine the latest technologies in foam densities and heights for road and trail runners. Minimalist shoes are made to provide minimal interference when the foot is moving naturally. 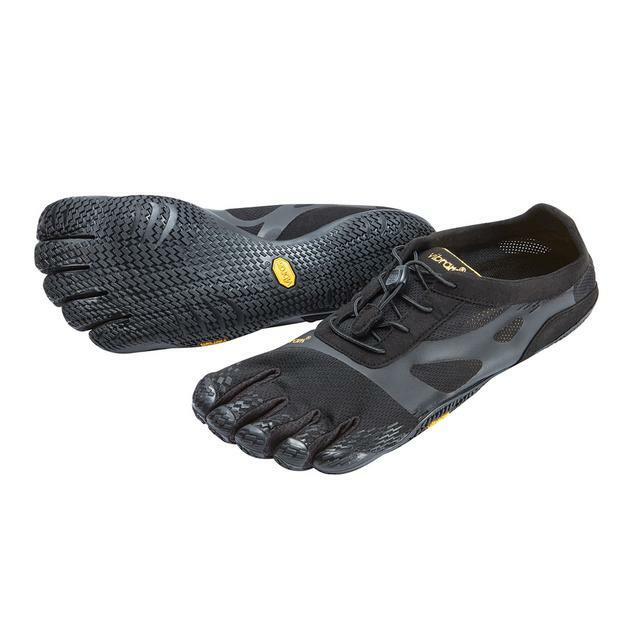 These shoes give the impression that the runner is running barefooted while providing some protection against the terrain. They will have less cushioning, thinner soles and are often more lightweight compared to a regular running shoe. Maximalist shoes provide extra cushion to ensure comfort for runners on longer distances and will provide extra shock absorption. There are three different types of running categories and within those categories are different types of running shoes. The three main categories for running shoes are road-running shoes, trail-running shoes and cross-training shoes. Each category will have specific features which are tailored for the suggested terrain. Road running shoes are designed to run primarily on paved surfaces and occasionally on compacted soil or gravel. These are the most common shoes on the market with different variations of cushioning and supports available depending on your running style and needs. Built to withstand repetitive impacts on hard surfaces, the outsoles of these shoes are usually flat or have flat and small lugs. 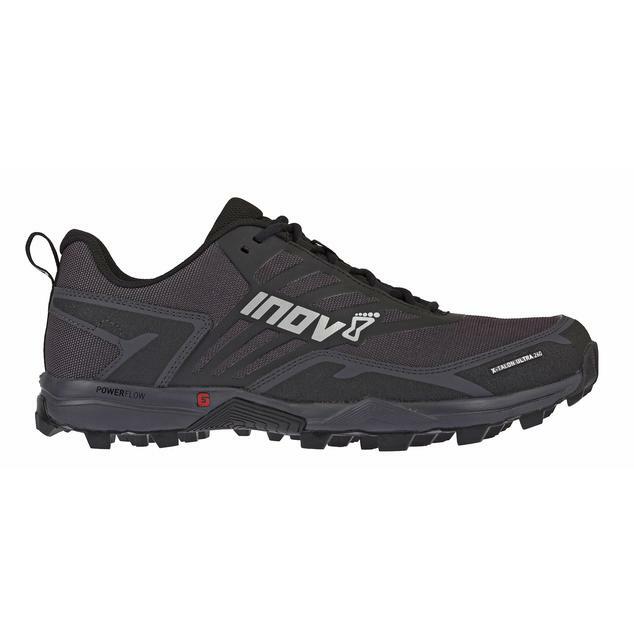 Designed to run off the beaten track,trail-running shoes are made to face trails with rocks, dirt, mud and all other obstacles that nature may throw at you. The outsole generally has a good amount of lugs for a more aggressive tread and more adherence to the ground. The midsole (the rubber part of your shoes that absorbs shocks and cushions), is made to protect your foot from the rocks and roots. The upper of the shoe (the materials that cover and wrap your foot) is built to protect and to keep your feet in place comfortably and not too loose. Cross-training shoes are like Dr. Pepper. They are the hybrid of a mix of a variety of different athletic footwear. 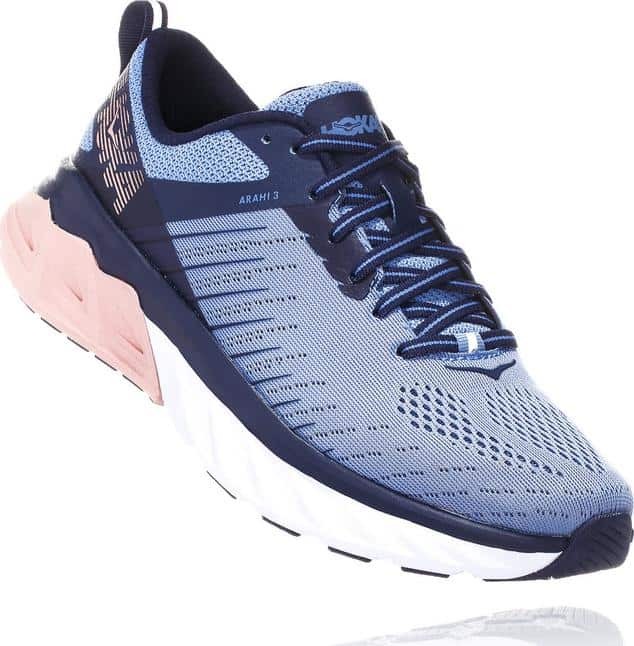 The benefit of this hybrid shoe is that is has the features of multiple different athletic footwear which enables it to be used for multiple activities. One of these features includes a wider and stable sole which is made to provide more support for lateral movements. You can have the cushioned heel of a running shoe as well as the lateral stability found in a tennis shoe all in one shoe! This may be appealing for someone who is new to the sport of running and looking for something more versatile that they can wear to volleyball practice or yoga as well. Although cross-training shoes can be used for multiple different activities from lifting weights to a zumba class, they are not ideal for people who are regular runners. This is due to the fact that although yes they provide cushioning and support, they do not provide as much as a running shoe does. A running shoe is made specifically for running. All the features and technologies are developed to ensure the runner’s foot is cradled and protected from impact and to reduce the chance for injuries. If you are a running wizard and plan to do a lot of running pick a running shoe that will keep your tootsies happy. There are many running shoe features that are developed to enhance the performance and comfort of the wearer wherever they are training. These features include running shoe uppers, running shoe midsoles and outsoles, the heel-to-toe drop, heel counter and medial post or torsion bar. This is the fabric or leather part of a shoe which is either sewn or glued to the midsole. The shoe is secured to the wearer’s foot by the running shoe upper. The uppers come in a variety of materials which will influence the shoe’s suggested use. Some will be waterproof and be beneficial for those runners who are out in wet conditions occasionally. Synthetic leather requires minimal break-in time and is often more durable, lighter, quick-drying and breathable compared to regular leather. Lightweight shoes will more often be made using nylon and nylon mesh due to its lightweight properties and breathability. Last but not least, TPU overlays or thermoplastic urethane overlays are little additions used to enhance the stability and durability of a shoe. These overlays are placed over the breathable shoe panels which are often found in the arch and the heel. A midsole is the most important part of a shoe when it comes to cushioning and stability. This piece is sandwiched between the upper and the outsole and is often made of EVA (Ethyl Vinyl Acetate) which is a closed cell foam. EVA is the most commonly used foam for the insole of running shoes. 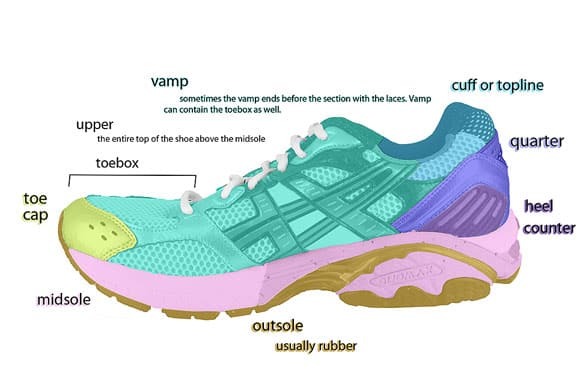 Generally, a cushioning pair of running shoes will use just one layer of EVA although some styles will insert multiple densities which force a particular flex pattern. In some shoes, you can see multiple colours in a midsole. The colour of the midsole under the heel may be a dark navy whereas the colour of the midsole under the arch made be green. These different colours will reflect different densities of the EVA where the EVA is firmer in the midsole and are called posts. *Medial posts are used to prevent overpronation and help reinforce the arch side of each midsole. Posts are also used to boost the durability of a shoe. Shanks are used in shoes to stiffen the midsole and to protect the heel and arch. A shank will allow a shoe to bend at the toes rather than under the arch which is what happens naturally when the weight transfers to the forefoot while the heel is lifting during motion. They are used for protection and support because they boost the firmness of a shoe when the wearer is travelling on rocky terrain. The outsole of a running shoe is the bottom of the shoe itself. This part is often made of carbon rubber or blown rubber. Blown rubber provides more cushioning and is more commonly used in the forefoot of a shoe whereas carbon rubber is used in the heel. The heel-to-toe drop which is also sometimes referred to as the heel drop, drop, offset and sometimes the ramp angle is the measurement for how fat a running shoe heel feels. This tells you how much taller the heel is than the forefoot of the shoe. For example, a shoe that has a 20mm thick heel and a 10mm thick forefoot will have a 10mm heel-to-toe drop. Shoes that have higher heel-to-toe drop force runners to run on their heels and are not the most efficient shoes. Shoes that have little to no heel-to-toe drop allow the wearer to run on their midfoot so their entire foot is striking the ground at the same time as their heel. This is the most efficient stride and will also reduce the chance for injuries. In general, most midfoot runners will fall into the 6mm-8mm heel-to-toe drop range whereas runner who are heavy on their heels will go for a shoe with more of a heel-to-toe drop between 14mm-16mm. A shoe with a 0mm heel-to-toe drop is the way our human feet are designed to hit the ground although unless your body has adjusted to it, this will feel extremely flat. A heel counter is a small, plastic insert which is used to reinforce the heel cup of a shoe. This small insert increases the support and will cradle the wearer’s foot and arch while also reducing overpronation. An efficient heel counter will hold the wearer’s foot firmly in the shoe and keep it anchored to the midsole. Runners who suffer from Achilles tendonitis should look for shoes equipped with a heel counter as this part will help with this. Maybe you’re an avid runner or maybe you’re just someone who likes to read up and feed your brain with information. In either case, I hope you will find this information insightful. Having the right gear not only improves your performance and efficiency but will also benefit your body too. Our bodies are wondrous temples full of mystery so listen to those aches and pay attention to subtle hints like the wear patterns on your shoes. Sometimes a little research can go a long way and have you running a long way too.